Do you no longer love your lips and want to own a pair of luscious lips, or maybe you want to stop the lipstick smearing disasters? JMK Cosmetics is your answer, you can now have the lips you’ve always dreamed of with gorgeous colour and definition. 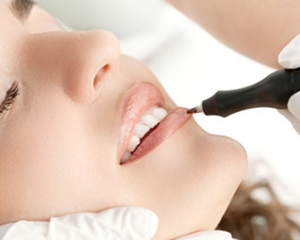 As we age our lips do loose volume so it’s no doubt that you will have noticed, this treatment allows you to get those lips back. 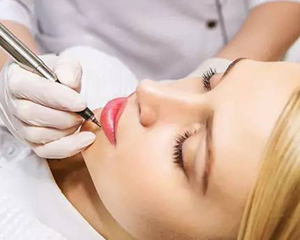 Permanent lips are the perfect alternative to fillers or surgical augmentation, however saying this they do work fantastically in conjunction with fillers too. 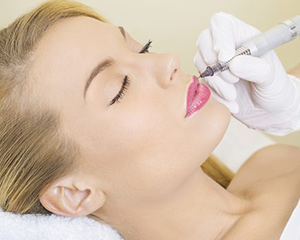 Click here to read about lip fillers. This treatment allows symmetry to be restored, fullness given and colour that won’t wash away, There are various options of tattoo to choose from. 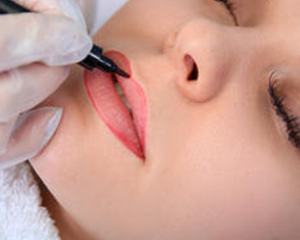 You can pick a simple lip liner to restore the edges, a blush technique which lines the lips and then gently bring the colour down towards the body of lips. Or maybe you want the full lip colour. All of these options will be discussed in your consultation, along with the best colour too. Forget about applying that lippie 100x a day, now you can have gorgeous colour that is smudge proof and lasts. It’s important to remember that as with all micropigmentation treatments, the chosen colour will at first appear between 40-70% darker than it will be after healing has taken place and the epidermal cells have fully renewed (a process which can take up to 10 days). 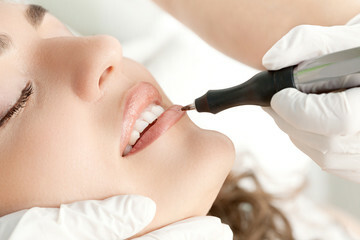 For further information about our permanent lip treatments and to arrange your complimentary consultation, which will be carried out to assess your suitability for the permanent makeup procedure, simply fill out the request form below.